Many of you will remember the great Yanny/Laurel debate that took place last May. To those of you that don’t recall, the debate was over a short audio clip that can either be heard as the word “Laurel” or “Yanny.” The recording took the internet by storm, with people swearing that their version was the correct one. By playing with the pitch of the clip, audiologists discovered that that while the recorded word that was “Laurel,” what a person heard depended on what pitch his brain received it on. Amazingly, reminiscent of the Shomer V’Zocher spoken at Har Sinai, one utterance was able to have two completely different auditory receptions. This week, we had our own version of the Laurel/Yanny debate. A story took place that many heard as tale of a Hanhala upholding the rules of a Yeshiva, while other people listened and heard the story of a Yeshiva overstepping their boundaries and being stubborn and unreasonable. With people bashing both sides, and many using language that exposes deep anger and resentment to boot, is it possible that each side is valid and took the proper course of action? The bochurim at a prestigious Yeshiva once got into a disagreement with their Hanahala and decided to all learn in the Ezras Nashim in protest. When the esteemed Rosh Yeshiva arrived at the Bais Medrash during first Seder, he was shocked to find the room completely empty. There was, however, one bochur who refused to join the protest and was learning on his own in a corner. Realizing what must be going on, the Rosh Yeshiva approached the boy. One can imagine that the boy was expecting praise or a gesture of appreciation for remaining behind. Surprisingly, the Rosh Yeshiva looked at him sternly and instructed him to go upstairs to the Ezras Nashim. “When the entire Yeshiva is taking part in something, you shouldn’t single yourself out,” he chided the boy. Chastised, the bochur scurried upstairs to join the rest of the Yeshiva. Five minutes later the Rosh Yeshiva entered the Ezras Nashim and proceeded to lambast the entire Yeshiva for making the protest. The lesson I learned from the story is that there are times that two opposites can be true at the same time. While the Rosh Yeshiva was upset that his bochurim were not in the Bais Medrash, he felt it was also important for that one boy to know what the right course of action was for himself, even if it meant opposing the Rosh Yeshiva! Depending on whose ‘pitch’ you listened to last week you’d be convinced that that version was correct and, in truth, either way you would be correct. The bochurim, who strongly felt the passing of the saintly Rebbe, felt the need to take part in the levayos hameis of an adom gadol. This imperative doesn’t absolve them from consequences, though their willingness to face discipline certainly makes their partaking in the levaya more admirable. The Hanhala, for their part, rightfully felt their authority has been flouted so they had to take strong action against a breach of their rules. The bochurims’ good intentions do not mitigate the fact that they broke the Yeshiva’s rules. In summary, it seems that both the Yeshiva and the bochurim did what was right for them; the only true travesty may have been the hostile reactions from the bystanders. So basically, if your child decides to not listen to you-his parent-then, he is right for doing what is best for him (Kibud Av Va’em is trumped by what a child ‘feels’ is right). Or, if a teenager decides that it is best for him to not listen to a mitzvah in the Torah (for example, he feels that it’s right for him to miss zman krias shema – because then he’ll be more awake the rest of the day to learn)-then he’s right for doing what’s best for him (‘feeling’ what is best for you can trump the Torah ח”ו)…this makes absolutely no sense. It’s not PC to side with the Yeshiva and Hanhalla. Saying that boys did what feels right-and that is the right thing for them-is not right. “Feeling Right” does not make it right. Thank you. I agree %100. Very well said. My boy’s learn in a mainstream Litvish Yeshiva, right here in Flatbush, and B”H all the bachurim stayed by their Gemorah’s, kept their sedorim, shteiged away and felt good at the end of seder. Most were not even aware of the major livayah taking place. The example given above about all the bachurim making a maacha and learning in the ezras nashim, with the one bachur staying behind, has ZERO sheichus to what happened in Lakewood. Of the overall enrollment, it was a meut of the little immature bachurim that defied the hanhalla. Don’t forget, these were highschool age children. Chutzpeh yasgeh. And again: no one forced any Chassidishe parent to send their tzatzkel to this particular Litvish yeshiva. Nothing to do with Chassidishe parent, Litvishe parent or Sfardishe parent but everything to do with a funeral of one of the greatest tzaddikim of our generation. 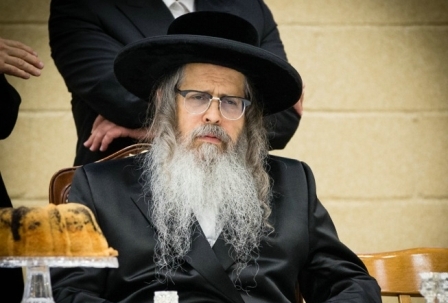 Hadn’t THOUSANDS of chassidim attended the funeral of Rav Moshe zt”l and Rav Steinman zt”l? Only klein-keppige narrow-minded people would look at stupidity when a a tzaddik is niftar. Nobody is talking about going to their tish, but to the funeral of a tzaddik hador, are you serious??????? If a Chassidishe Parent is sending his Chassidishe child to a Litvishe Yeshiva, there are issues there already. Most Mesivta age kids are always looking for a way to “get out” or “escape” the walls of the Yeshiva. Nu nu, they’re only 14 -16 years old. These kids never saw or had any sheichus to the Skulener ZTK”L. Now suddenly after he’s niftar, they are so concerned? They only wanted an excuse to get out. They were caught, and now like everything else in life, they had to pay a price. Hopefully they took this lesson seriously and will be responsible adults once they grow up. How many people from Crown Heights went to the levaya? Why is there is no criticism of the people there for not going? Evidently they also held that not everyone is mechuyav to go. All the big talkers here criticizing this yeshiva should criticize Crown Heights for not going as well, should they not? And maybe Modern Orthodox too. Otherwise it is selective outrage. What is Torahdik about that? Sounds more like the I’m Okay, You’re Okay of the ’70s and the Live, and Let Live of the ’60s. Did the boys act on their own or based on the p’sak either they or their families received? The following story was heard directly from the father in the story. Many years ago a protest li’chvod ha’Torah and Rav Shach ztzvk”l was scheduled to take place. 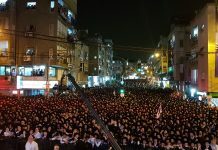 A bochur, a Lubavitcher chosid learning in a Litvish style yeshivah did not know what to do, since his entire yeshivah was participating; busses were scheduled to transport all the talmidim to the event. His father was asked what he should do. His father replied that while he can’t tell him not to go – his yeshivah was after all going, and at the request of his Rosh Yeshivah – nonetheless how could he go as the protest was essentially against his Rebbe. His father concluded by saying his son should come up with a solution. The boy boarded the bus along with all his chaveirim. Just before they were to leave, he feigned a stomach ache and said he had to excuse himself. He exited the bus, made a beeline to the beis ha’kisei. Only after it was decided the busses could wait for him no longer and departed for their mitzvah, did he leave the facilities. Those actions – the asking of advice from his father, the father’s reply, and the bochur’s decision – all were b’ruach ha’Torah. This particular father, by the way, also advised his son previously, not to put in his R”T tefillin on in the Beis Medrash, but rather later, privately, in his dorm room. We don’t know – and have little or no reason or need to know – who asked who, whose da’as Torah was sought, etc. But if any side – the Yeshivah or the talmidim – was simply doing “what was right for them” that was certainly not right. I admire the writers attemp at “ peacemaking “ , still …. A) your rules are not appropriate for your talmidim. B) You are sadly ineffective in giving over the chinuch standard. Or maybe A) and B). This goes well beyond who was “ right or wrong “ or if they are both right and wrong. A yeshiva cannot make a rule on something that makes no sense. It’s not a right or wrong issue. They had absolutely no right to stop anyone from going to the funeral? Would they also have stopped boys from attending a family funeral l”o? It’s not an “event” where they have another chance to do the mitzvah of being melaveh the tzaddik. If the yeshiva does not understand this, they should close down. Whoever wrote this stuff clearly is not involved in Sholom Bayis cases of today or understands anything about actions and consequences – long term. You can chalk this up as a Laurel and Hardy situation or you can look it it from the eyes of those who deal with the young boys and girls trying to find and establish their homes. How many Shidduchim have fallen apart either during the dating process, after the engagement or RL less then a year of marriage. The numbers are off the charts scary and have reached epic proportions. We have become so desensitized to this that we no longer see it as a churban but its the norm. Broken engagements, divorced less then a year into the marriage are common news to us. Where did it start? Why does it happen? What is the issue? Not understanding achrayus, not realizing there is a responsibility to another person, thinking I can do what I want and nobody can tell me not to, making decisions on my own because I believe I earned that right. This has to stop. Kids must realize they are kids. Derech Eretz is Kodma Latorah and outright defying any human being lacks in derech eretz, lacks in Middos and causes destruction. While I realize that it wasn’t the main point of the article, comparing Shomor Vzochor to laurel and yanni sounds like kfira. One was a neis as chazal specifically say that it is impossible for a mouth to say or ears to hear 2 words at once and the other lhavdil is some kind of sound wave issue where you can hear one or the other but not both. 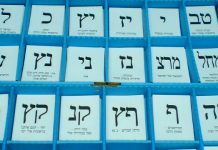 The question isn’t if the Bachurim were right for going to the levaya. Of course they were! The question is why did the hanhala suspend them? It is amazing to me that the post’s obvious conslusion is confusing people. If the talmidim think they should go to the levaya of course they should. IF they disregard the yeshiva’s rule of course they should be thrown out. There is another point which should be said, a Rebbe put out a letter which was totally against what we were taught from chazal. He feels that it’s nobody’s business what the Yeshiva does and in fact that have the right to do whatever they want and we have no right to question the Yeshiva. As far as I know ,when one sees something wrong he must make a מחאה if he can. Did we forget the story of קמצא ובר קמצא where the sages said nothing and because of that the churban came. If the Yeshiva feels that they are right what’s wrong saying and articulate to the ציבור your reasons behind it unless you are afraid that they won’t be accepted because they aren’t valid reasons. Who is the Daas Torah behind this decision? It looks more and more that whoever is behind it is embarrassed to say so . I would expect if you make decision of such great magnitude, you wouldn’t hind behind a curtain. We are told that throwing a bachur out of Yeshiva is דיני נפשות, so explain why it’s needed to throw out and kill 50 bochurim. Last, assuming the Yeshiva was right in their decision aren’t they worried what the ציבור will say. Isn’t that supposed to be a consideration. Someone who represents Torah must have realized the tremendous outcry that would ensue because of it. Is the ציבור suppose to learn from this not to care for others? As for not naming the Yeshiva, I think it’s wrong as I would never want my kids to learn under such an hanhala. If the Bobover/Stamar/Belzer/Bostoner Rebbe would speak at Shaleshidos and express his very clear view that his chassidim should not attend the Siyum Hashas of Daf Hayomi. The next day, a group of hundreds (about 20%) of his chassidim board buses to the Siyum Hashas. Would there be any consequences for these chassidim? Would they be stripped of their privileges as members of that chassidus? Ein hochi nami. They should be thrown out. As someone pointed out in a previous comment, there has to be achraiyus! In Yiddishkeit there is authority. Torah authority has to be listened to and adhered to. The world is NOT hefker. It applies across all minhagim. Asei licha rav. Every yochid must listen to his daas torah. It’s not a hefker velt. You’re comparing apples to oranges. A funeral is not a Siyum Hashas. A funeral of a particular person is a 1-time important mitzvah that will never come up again. And that is where the Yeshiva was totally off. 100% wrong! 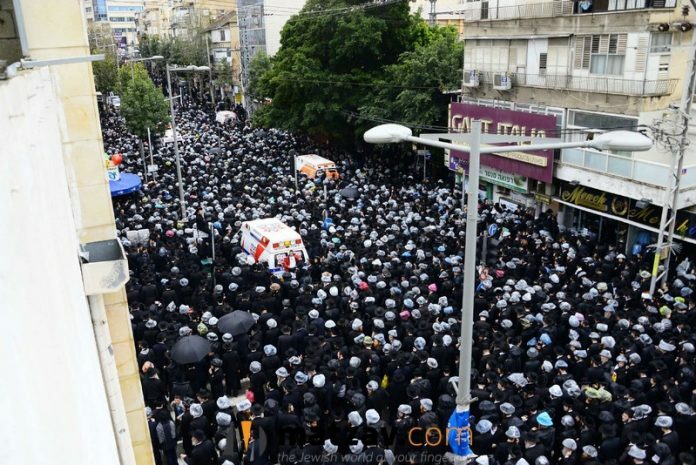 Unfortunately, funerals of great rebbes happen more often than once every seven years. Besides, what difference does it make whether it is a one-time or not. The point is, this rosh mesivta, believes al pi halacha, that mesivta bachurim should not attend any levaya on the cheshbon of their learning. This is what he taught his talmidim the night before the levaya. If they are not makabel his shitos, the yeshiva is not for them! This writer is obviously not a mechanech. Has Torah become another subject like biology or is Torah a way of life!!!! Would this Hanhalah have stopped the Bochrim of going to Reb Moshe Zt’l levaya? I’m not here to compare This particular rebbe to Reb Moshe Zt’l, (can we compare anyone to reb Moshe in the last 80 years?). Nevertheless this Rebbe was a Godol B’Yisroel and he should have been given the same respect.. The Hanalah MADE A HUGE MISTAKE by not. Letting them go, and then kicking them out. They should have said ‘WE MADE A MISTAKE ‘ now go learn Geshmock to fill the void that this great Adom Godol left!!! BTW: As many pointed out, where is the outcry? Where is the outcry of Bizu Gedolim Yisroel??? Who was the Daas torah behind this decision? I guess it’s just about what sells at the end of the day just like someone said on one of your shmooze. It is NOT about who is right or wrong in this debate now but about making the right or wrong choice in how we react to it. Let’s use our free choice correctly. We need ahdut and ahavat yisrael not more mahloket. Does anyone think that it was a nachas Ruach to the Rebbe זצ”ל’s neshama that these bochurim went to his levaya after specifically being told not to go by their Rabbeim?! What would the Rebbe זצ”ל have told them to do?